Home / Contests • Featured / Contest Time! 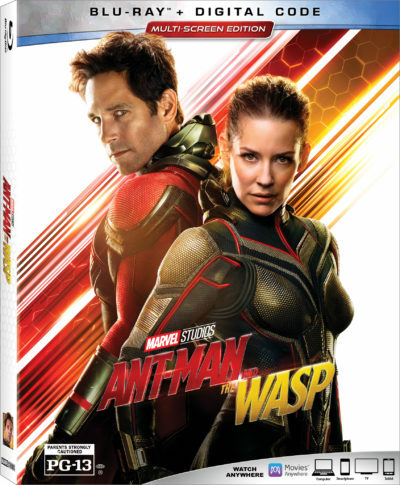 Win Ant-Man And the Wasp on Blu-ray Combo Pack! The Pint-Sized Adventure Heads Home Oct 16! Contest Time! 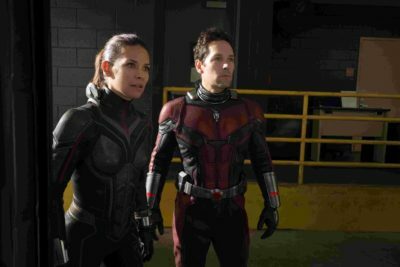 Win Ant-Man And the Wasp on Blu-ray Combo Pack! The Pint-Sized Adventure Heads Home Oct 16! 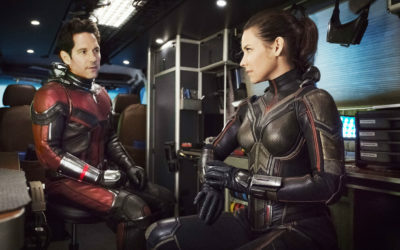 One of my favorite films last year was Ant-Man and the Wasp! It was a fun mix of comedy and action and was a nice break from the trauma of Infinity War! Whew! Plus, Michelle Pfeiffer. I mean, any time Michelle Pfeiffer returns to the comic book world is a win in my book! I’m super stoked because we have a copy on blu-ray combo pack to giveaway! Woo to the hoo!!!!! Contest Time! Win The Witches Of East End Season One On DVD! Fall Under Their Spell! Contest Time! Win Hee Haw: The Collector’s Edition on DVD! 14 Discs Of Classic Moments From The Series 23 Year History! Contest Time! 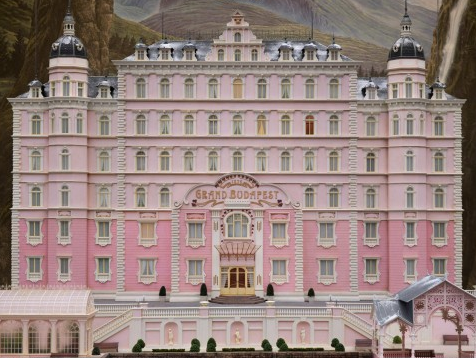 Win THE GRAND BUDAPEST HOTEL On Blu-Ray! Plus Which Character From The Film Are You? Scott’s relationship with his daughter Cassie. My favorite thing about the Ant-Man flicks are Hank Pym!! Thanks for the opportunity!! I really like the action sequences in the Ant Man movie. Have not seen the second one yet. I haven’t seen the second movie yet, but I enjoyed the charm, humor and overall weirdness of the first film. Helped it stand on its own and made it a far better, more enjoyable movie than I (or probably anybody) thought it would be. Paul Rudd, he is the best actor to play Any Man. There are times his facial expressions make the scene. I love Ant Man’s friend Luis’s stories! They are the best! I haven’t seen these movies yet, so my favorite thing about the Ant-Man Movies is that I can look forward to seeing them. Thanks for the giveaway! 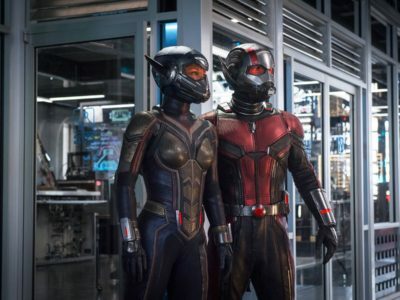 I have not seen the Ant Man movies, but based on the comments, I will love the action scenes. The overall ridiculousness of them. I like the action scenes. I really like the humor. I’ve always thought Paul Rudd is very funny and he excels in this part. Makes the films some of the best in the series. I like Paul Rudd and the action in the movies. I love that my son adores these movies. He’s such a huge fan so it brings us closer together. Also he’s the 1 who got me into the movies. But I just love Antman himself. I love the cast and I love the humor in the movies! The humor and action… plus, I just love Marvel movies. My favorite thing is that there’s a good mix of humor and action. I love Paul Rudd ! I can’t wait to see this movie I loved the first one. I love that the movie takes a character that no one really thought of as “cool” before the movie and shows how interesting and versatile his powers are in reality. Plus Paul Rudd is the best. My favorite thing about the Ant-Man movies are Luis’s stories. These movies are alot of fun. I like the humor and action. The bloopers and comedy mixed with action is my favorite part of Ant-man. I like the action and of course Paul Rudd. I liked the humor. I liked all the San Francisco scenery. I like how funny these movies are. Paul Rudd is my favorite thing about the Anr Man movies! I like the fight scenes in the Ant-Man movies. I like the action and humor. i love the action mixed with humor and paul rudd! Paul Rudd is why I love this movie! I haven’t seen them yet, but I’ve heard great reviews about Paul Rudd in this show and saw some previews of his role. Unfortunately, I haven’t seen the Ant-Man Movies yet, so I currently can’t say what my favorite thing about them is. However, I really hope I win this contest so I can discover what my favorite thing about Ant-Man and the Wasp is. Thanks for the fantastic opportunity to win!